In blender, place milk, cereal, banana chunks and ice. Cover; blend on high speed about 30 seconds or until smooth. Pour into 2 glasses. Garnish with banana slices. Serve immediately. For an extra-creamy smoothie, add 1 cup yogurt. 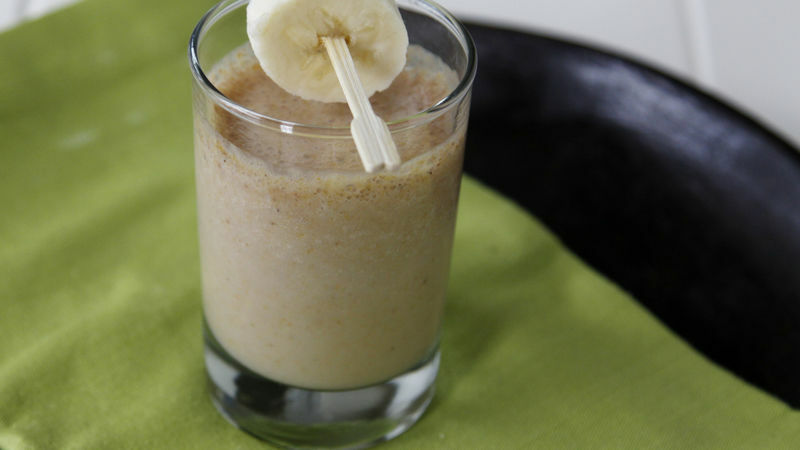 Use your favorite cereal for a new smoothie flavor.